Continuum may be coming to an end—the embattled time travel series was recently renewed for a truncated fourth season, though it will be the last—but over the course of it’s too-short run, it became one of the most interesting, engaging science fiction shows on your television. Rising costs and diminishing returns led to Canadian channel Showcase to pull the plug, but if nothing else, at least we’ll be able to get some closure, and we’ve got a handful of strong seasons to revisit from time to time when we need a fix. 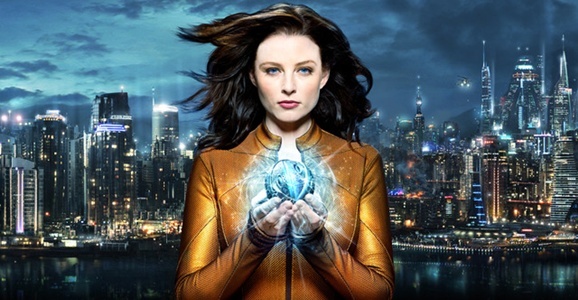 The show follows Kiera Cameron (Rachel Nichols), a cop from the year 2077 who is accidentally booted back in time to present day Vancouver, B.C. along with a group of terrorists. Once she lands, she must use her knowledge of the bad guys, as well as the future, to stop them from wreaking havoc and reshaping the world. That sounds pretty standard, but there’s way more in play. She wants to get home to her family, has cool new tech that helps her out, teams up with a tough-as-nails though still hunky present day cop, and even enlists the younger version of an influential industrialist from the future in her quest. Continuum really hit it’s stride in seasons 2 and 3, finally realizing it’s potential, just in time to be cancelled, of course. I watched the first episode of the 100 and never watched again,but if it finally got it’s act together as you say I will give it another shot. It admittedly takes three or four episodes to really figure out what it’s doing, but after that it’s been a pleasant surprise. I am into episode 6(I get it on Netflix) and am begining to warm to it. Nice. I’m curious what you think when you finish the season. I’m a binge watcher,so it won’t be to long. I’m done with the final episode of the first season and I have to agree with you it’s much better than I thought it would be., I think the level of writing is above the normal fare we see in most sci-fi on network tv ,a bit weak in the first few episodes but someone is making a damn good effort put it all together..I’m sorry now I dismissed it after the first episode because of the young adult look only to discover now we have a story that cover alll ages.It keeps surprising you with new directions and the characters are developing nicely. Also, .. I like the grittyness of it and that being a pretty young thing is no guarantee that your going to survive to the next episode. The final episode was a treat and the ending has me looking forward to the second season for the answers. I’m glad you wound up enjoying it. I had a similar experience. I started watching it because I’ll give any new sci-fi show at least a chance, but for the first few episodes it was just kind of on in the background. They end episodes really well, and that’s what kept me coming back until one episode I realized that it wasn’t just on in the background anymore and I was ignoring everything else. Season 2 continues to go in unexpected directions. They do things that I initially thought would ruin what they’d built, but they do them well and really expand the scope of the show in unusual ways. Never got to see The 100. I think Firefly tops a lot of favorite lists, though.